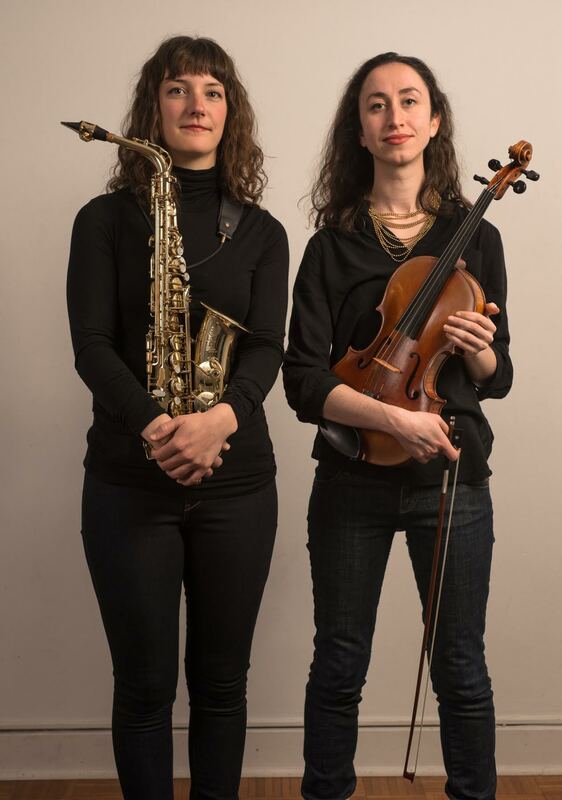 patchtax is a duo comprised of Mary Joy Patchett, saxophone, and Eve Boltax, viola. They are active performers in the Boston area and this is their fifth season. This is the duo’s first appearance on the West Coast. In addition to the Bay area, they will be touring to Seattle and Vancouver. patchtax explores unconventional performance practices within the realm of classical chamber music. This program consists of the duo’s self-directed video work interwoven with compositions by Georges Aperghis, Lei Liang, Rosalie Burrell, Karlheinz Stockhausen, and J.S. Bach. At the beginning of 2016, they released their first album which was supported by a crowdfunding campaign. Their music video of Kevin Laba’s “Emaciate” was featured on the blog i care if you listen. patchtax toured Vermont and Quebec with dancer Elizabeth Epsen and composer/sound engineer Kevin Laba during the summer of 2015. patchtax’s first commissioning project was in the fall of 2013, where a set of six duos by six different composers were written to be performed with a food pairing. They have held residencies at the Banff Centre, the Avaloch Farm Music Institute, and Brush Creek Foundation for the Arts.